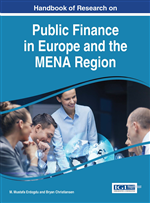 The main objective of the chapter is to study the interaction between the level and composition of government expenditure and governance performance in Europe and in MENA countries. The perceived level of corruption provides a possible measure of governance performance. The idea is that more corruption entails greater than optimally volumes of public expenditure and an inefficient allocation of this. The study involves a descriptive and a simple econometric analysis. Results are enlightening and point out that total government expenditure appears to be positively correlated to poorer governance performance, and hence to more corruption, only when the volumes of public expenditure is already high. One of the main causes of corruption and, hence, a determinant of the quality of governance performance is the pervasive presence of the State in the economy. Government may contribute to the (private) economic activities through different channels and penetrate the market to a different degree. Since corruption entails the illicit actions of public officials who attempt to extract rent through the abuse of their public power, the higher is the level of involvement of the government in the economy, the larger is the set of potential rents on which corruption may feed. Of course, a high degree of government intervention in the economy is only a necessary but not a sufficient condition for corruption to occur. To this extent, other factors need to be in place. For example, as suggested by Mauro (1997), bureaucrats’ degree of discretion, and hence their potential rent extraction, increases as it increases the opacity of the laws and of the regulation system. Along these lines, Clements et al. (1995) argue that government subsidies for industries multiply the opportunities for rent-seeking behaviors. Other factors which feed corruptive behavior are the provision of public goods and services above market prices (Tanzi, 1998), the level of public sector wage (Acemoglu & Verdier, 2000) and the nature of the system of tax collection (Blackburn, 2012). Bureaucrat (or Public Official): A person that performs an official role in the government, by carrying out any public legislative, administrative or judicial function. Public Investment (or Capital Public Spending): The amount of government resources allocated for a productive aim, such as public infrastructures, hospitals, schools and council house. Corruption: The abuse of public power in order to obtain a private benefit. Public Consumption (or Current Public Spending): The amount of resources allocated by the government for the functioning of public services, such as the purchases in consumer goods, salaries, social transfers, and so forth. Public Spending (or Public Expenditure): The total amount of public resources spent by the central government, local governments and state-owned companies. It is mainly shaped by public investment and current public spending. Senior Public Official: The public official that performs a high public role in the government, such as chiefs of state, ministers or, at least, powerful politicians. Rent-Seeking: The set of lobbying activities in order to improve one’s share of existing wealth without creating new wealth. For example the effort of someone to affect the enactment or the compliance of law in order to obtain a benefit.